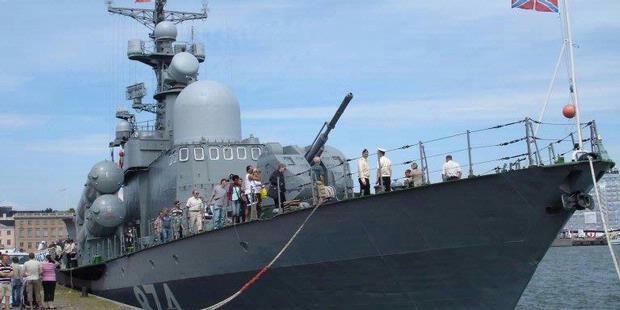 KUALA LUMPUR, KOMPAS.com - Malaysia is rumored to be soon bought up various Russian-made weaponry, ranging from portable missile to missile warships. Arms purchase negotiations continue. As stated by Viktor Komardin, Deputy Chief-company Rosoboronexport state arms exporter from Russia, in Kuala Lumpur, Malaysia, Tuesday (17/04/2012), as quoted by RIA Novosti. According to him, Malaysia is approaching final negotiations to buy the Kornet antitank missile systems, Igla anti-aircraft missiles pelvis, and is still negotiating to buy the missile warships and patrol boats. Komardin added that Russia is prepared to license the manufacture of Molniya class missile boats and patrol boats Mirazh classes to be made in Malaysia shipyard itself. "Malaysia attracted by ships (classes) and Mirazh Molniya us. This refers to the creation by them under license in their shipyards, as the ship has advanced pembuata sector in Malaysia," said Komardin. Molniya-class warship is a ship type corvette class warship development results Tarantul. 56.1 meter long ship is equipped with the latest radar systems and weapons, including missiles antikapal P-270 Moskit-E (SS-N-22 Sunburn) and Igla anti-aircraft missiles. Besides Malaysia, Vietnam bought the ship first class. Vietnam also reportedly purchased a license to create their own war ships. Federation of American Scientists (www.fas.org) called Molniya class ships are designed to carry out a naval battle against surface ships. Relatively small size makes this ship can maneuver agile and blend with the crowd fishing boats or small cargo ship near coastal areas, so difficult to track and shot.